In the co-main event of UFC 232 on Saturday night, the win-streak of long-time featherweight champion Cris Cyborg came to a skittering halt amid a blizzard of power punches from Amanda Nunes. Nunes had the long-time champion wobbled in seconds, and had her face down on the canvas in less than a minute. 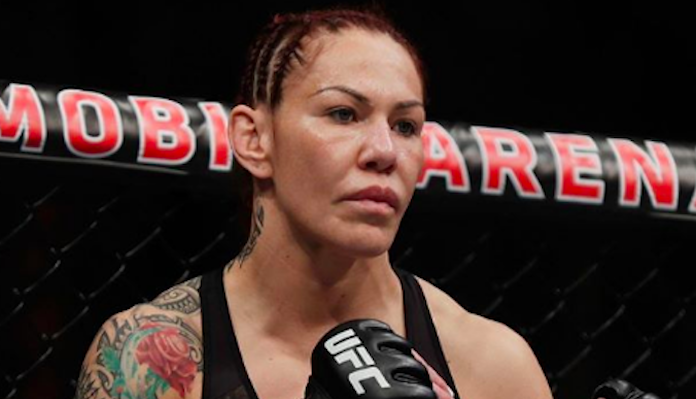 It was a shocking and brutal loss for the former champion Cris Cyborg, who had not tasted defeat in well over a decade. That being said, she is handling it with absolutely class and dignity. Post-fight, the now former UFC women’s featherweight champion took to social media to issue a quick statement on her shocking upset loss to Amanda Nunes, and thank her legions of supporters. “Today was not our day, but I want you to know that I am very grateful for your affection,” Cyborg wrote on Instagram. “Life is like that one day we lose and one day we win! Cris Cyborg had not lost since her first pro fight, all the way back in 2005. She entered her fight with Amanda Nunes’ on a jaw-dropping 20-fight win-streak. While nothing is official just yet, it seems quite likely that Cyborg and Nunes rematch sometime in the New Year.